These custom blends of Embossing Enamels, a wide variety of granule sizes, and premium glitters from our Stampendous collection create absolute magic however you choose to use them. 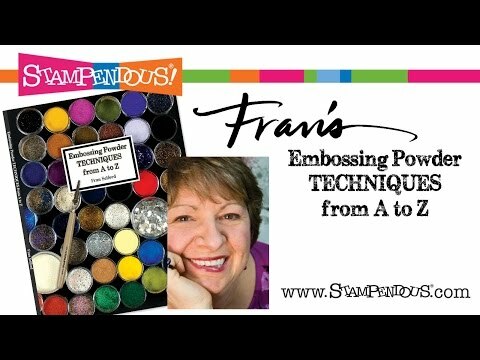 From embossing a vintage or shabby chic image with Frantage flair or trying out Fran's Encrusted Jewel Technique, you'll adore every single one of these beautiful powders. Try sprinkling on your project and adding glitter, mica, or other elements then heating from beneath for a gorgeous, jewel encrusted appearance. Powders vary in weight by color Apply powders over slow-drying ink and heat set with embossing heat tool. Made in the USA. Frantage Embossing Enamels was added to your cart.